Michael MacDonald-Cooper was born in rural Scotland in 1941, and studied modern and medieval languages and literature at St Catherine's College Oxford, before beginning a career as an education administrator. He started setting crosswords for The Listener in 1987. He also set crosswords for Scotland on Sunday and for The Scotsman. In 1990 he began setting crosswords for The Independent on a weekly basis, using the pseudonym Spurius. In 1998 he took over as The Independent's crossword editor and continued in that role until retiring in 2005. Michael was winner of the Times Crossword Championship in 1991. Machiavelli is the pseudonym of Joyce Cansfield for crosswords in The Listener. She has also been a setter of crosswords in The Times for many years. As Rorschach, Jon MacKenzie sets crosswords for The Independent. Derrick Somerset Macnutt (1902-1971) was a crossword compiler who provided crosswords for The Observer under the pseudonym Ximenes. He was one of the principal influences on the modern style of cryptic crossword. From 1928 to 1963 he was Head of Classics at Christ's Hospital near Horsham, West Sussex. Macnutt died in 1971, and puzzle 1200, his last crossword to be published, appeared in 1972. He was succeeded by Jonathan Crowther, who sets puzzles under the pseudonym Azed. From 1943, he was also a contributor to The Listener, setting crosswords under the pseudonym Tesremos - his middle name spelled backwards. Niall MacSweeney, using the pseudonym Raich, sets crosswords in The Independent, The Listener, the Enigmatic Variations series in the Sunday Telegraph, and the Inquisitor series in The Independent. Using the pseudonym Gurney, Niall sets crosswords for the Financial Times. He also sets cryptic crosswords for The Times - and Times Quick Cryptic crosswords as Hurley. As Nmsindy, he is a blogger on the Fifteensquared website. Magwitch is the pseudonym of Margaret Pedler for cryptic crosswords in the Financial Times. Ron Major sets crosswords in The Independent and occasionally in the crossword magazine 1 Across, using the pseudonym Poins. He also sets crosswords in the Financial Times, using the pseudonym Peto. Ron is a former school teacher, born in Liverpool and now living in Golden, Colorado. Mango is a pseudonym used by a group of three setters - Steve Mann, John Guiver and Roddy Forman - for crosswords in The Listener series, the Enigmatic Variations series, and puzzles for The Magpie. Don Manley (born 2 June 1945), a physics graduate from Bristol, now lives in Oxford where he worked as an editor for OUP. Don has been setting crosswords since 1963. He has supplied puzzles for Radio Times, The Spectator, The Independent, The Times, The Daily Telegraph, The Guardian, and the Financial Times among others. He is one of the three current setters of the Mephisto crossword in the Sunday Times, and is crossword editor of Church Times. His various pseudonyms - Duck, Pasquale, Quixote, Bradman, Giovanni, Izetti - are all punningly connected with the name Don or Donald. Using the pseudonym Seth Mould, Steve Mann has set crosswords in The Listener series and puzzles for The Magpie. He is also one of the group of three setters - the other two being Roddy Forman and John Guiver - who jointly set crosswords using the pseudonym of Mango. Mara is the pseudonym used by John Halpern for Times Quick Cryptic crosswords. The pseudonym of the late Ruth Crisp for crosswords in The Independent. Philip Marlow sets crosswords for The Independent (as Hypnos), for the Financial Times (as Sleuth) and Toughie crosswords in The Daily Telegraph (as Shamus). As MynoT, Tony Martin sets crosswords for The Listener and The Magpie, Enigmatic Variations crosswords in the Sunday Telegraph and Toughie crosswords in The Daily Telegraph. Maskarade is the pseudonym of Tom Johnson for bank holiday special crosswords in The Guardian. The pseudonym of Harold Massingham for crosswords in The Independent, The Spectator, The Listener, etc. Harold Massingham was born 25 October 1932 in Mexborough, South Yorkshire. He died 13 March 2011, aged 78. His first claim to fame was as a poet - he had two books of poems published in 1965 and 1972, and he has received three national poetry awards. Using the pseudonym Mass, he set about 200 puzzles for The Spectator. He also set puzzles for The Listener, for the Enigmatic Variations series in the Sunday Telegraph, for Crossword magazine and for The Independent. Math was a crossword setter in The Independent. 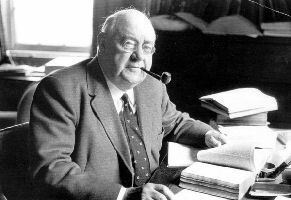 Edward Powys Mathers (28 August 1892 - 3 February 1939), as well as being an esteemed poet and translator, was an early pioneer of the cryptic crossword puzzle. He was born in Forest Hill, London, the son of a newspaper proprietor, and was educated at Loretto and Trinity College, Cambridge. In March 1926 he began a long series of 670 puzzles in The Observer, using the pseudonym of Torquemada - the name of a notorious Grand Inquisitor of Spain. There is no doubt that, for a modern solver Torquemada's puzzles would be regarded as falling far short of the standards of accuracy and fairness that are now considered essential. However, in his heyday he was very influential and was an important figure in the evolution of the modern cryptic crossword. 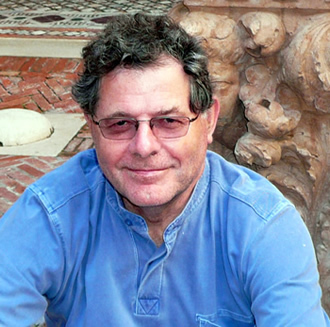 Dean Mayer's first foray into published cryptic crosswords was as a member of the Birmingham Post team, headed by Roger Squires, in the mid-1980s. He now sets crosswords for The Independent (as Anax); for the Financial Times (as Loroso); for the Toughie series in The Daily Telegraph (as Elkamere); and anonymously in The Times. He also sets the Sunday Times Concise Crossword and, under his real name, sets one in three of the Sunday Times cryptic crosswords (as of September 2011). Outside crosswords he is a keen musician and songwriter. As well as writing and recording original material he plays bass for a funk/soul/disco covers band. Anax Crosswords, Dean Mayer's crossword blog. Peter Mayo, a lecturer in Russian and Slavonic Studies, was winner of the Times Crossword Championship in 1993. John McGlashan was a British spy who after his retirement, set crosswords in in The Listener series, using the pseudonym Hubris. John Reid Curtis McGlashan was born in Hampstead, London, on December 12 1921. Educated at Fettes, he joined the RAF in 1940. In November 1941 his plane was forced down over Germany, and it is reported that the German officer who greeted McGlashan on the ground at gunpoint really did observe: "For you, the war is over". McGlashan spent the rest of the war in a succession of prison camps. After the war he went up to Christ Church, Oxford, before joining the family firm, importers and exporters of wines and spirits. But after a short while he was recruited as an intelligence officer by MI6, and the remainder of his professional career is shrouded in secrecy. What is known is that he was linked to a plot to assassinate Egypt's President Nasser during the Suez crisis and was subsequently accused of espionage. He died in September 2010, aged 88. Paul McKenna is a part-time pipeliner (oil and gas pipeline construction supervisor/foreman) and part-time classicist (MA King's College, London). When subsidizing one, the other takes him all over Europe and the Middle East; when enjoying a break from the other, he enjoys studying the mostly fragmentary poems preserved on papyrus from Hellenistic, Imperial, and Byzantine Egypt. As Auctor, Paul sets thematic barred crosswords for the weekend papers; as Jason, he appears monthly in the Financial Times. Once every three weeks he is Mephisto in the Sunday Times. In all three guises Paul sees Ximenean principles as his touchstone in grid design and clue-writing. John McKie sets Toughie crosswords in The Daily Telegraph, as Myops. He also sets the Wee Stinker in the Glasgow Herald. Puzzled, perplexed, but at peace - a Herald reporter interviews John McKie's wife. Vincent McLachlan was a setter of crosswords for The Guardian, in conjunction with Walter Reid. Both men were teachers in Northern Ireland, and the puzzles on which they collaborated were published under the pseudonym of Gemini. Under his own name, David McLean sets one in three of The Sunday Times cryptic crosswords and contributes to The Church Times. As Hoskins, he sets for The Independent and contributes to The Magpie, 1Across Magazine, The Cryptic Crossword Ace Android phone app and, formerly, The NADFAS review. As Talos, he sets one in four literary-themed cryptic crosswords for The Times Literary Supplement. As Ned, he sets giant general knowledge crosswords for Glasgow's Sunday Herald. 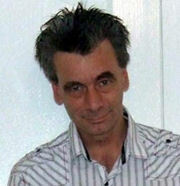 Phil McNeill is the crossword editor of The Daily Telegraph, having taken over from Kate Fassett early in 2009. Kate Mepham sets the General Knowledge Crossword on Saturdays (a very popular prize puzzle) and the Herculis general knowledge prize crossword on Mondays in The Daily Telegraph. The Mephisto crossword is a difficult barred-grid puzzle in The Sunday Times. There is currently a team of three setters for the Mephisto crosswords, working in rotation: Tim Moorey, Don Manley (who replaced Mike Laws in 2011) and Paul McKenna (who replaced Chris Feetenby in 2008). Previous Mephisto setters were Richard Kilner (1959 - 1973) and Richard Whitelegg (1973 - 1995). The pseudonym of the late Ken Guy (1935-2002) for crosswords in The Guardian. The pseudonym of Richard Palmer for crosswords in The Independent and in The Listener. The pseudonym of Richard Palmer for Toughie crosswords in The Daily Telegraph. The pseudonym of Mick Hodgkin for Toughie crosswords in The Daily Telegraph. Moley is a setter of Quiptic crosswords on The Guardian website. A former English teacher, living at Largs in Ayrshire, she started setting Quiptic puzzles in 2000. The pseudonym of Mark Kelmanson for crosswords in The Independent, in The Listener series, and elsewhere. The pseudonym of Alex Jagger for crosswords in the Financial Times. The pseudonym recalls two cats she once owned, named Moo and Dim. Tim Moorey is a professional crossword setter with many years' experience of teaching adults how to solve crosswords. He sets puzzles for a wide range of publications, including The Times, The Sunday Times (Mephisto), The Week, MoneyWeek, The Sunday Telegraph, The Listener (as Owzat), and tailored puzzles for special occasions such as wedding anniversaries and so on. The pseudonym of Derrick Knight for crosswords in The Independent, The Listener and elsewhere. 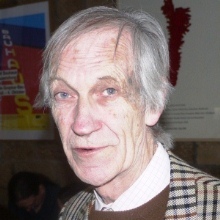 Ian Morgan was born in Pentwynmawr, Gwent, and was a former president of the National Union of Teachers (NUT). He died, aged 78, in July 2010. He was a crossword setter for The Guardian, using the pseudonym Rover. The pseudonym of Mick Hodgkin for crosswords in The Independent. Sir Jeremy Morse, a prominent former banker, has a keen interest in crossword puzzles. Born 10 December 10 1928, Christopher Jeremy Morse was educated at West Downs School, Winchester College, and New College, Oxford. A career banker, he began with Williams and Glyn's Bank and went on to be chairman of Lloyds Bank between 1977 and 1993. He served on the Board of the Bank of England as an Executive Director from 1965 to 1972 and as a non-executive from 1993 to 1997. He was also the first Chairman of the International Monetary Fund's Committee of Twenty. His record of success in the clue-writing competitions of Ximenes and Azed is such that Azed's December 2008 Competition puzzle (Azed No. 1,906 ‘For CJM at 80’) was dedicated to him on the occasion of his eightieth birthday. The preamble reads, in part: “C. J. (Jeremy) Morse will be 80 on 10 December. Over the course of the Azed series, and the Ximenes series before that, he has established himself as the most brilliant and successful competitive clue writer of all, with a long string of outstanding clues to his credit, many of which have won prizes. To mark the occasion, the accompanying puzzle incorporates eight of CJM's gems, all of them Azed prize-winners...”. He has also had puzzles published under the pseudonym Esrom (his surname in reverse). Colin Dexter's fictional detective, Inspector Morse, was named after him. Sir Jeremy is also an aficionado of chess problems and has written a book on the subject: Chess Problems, Tasks and Records. R S Morse, a son of Sir Jeremy Morse, is a setter of crosswords, using the pseudonym Bandmaster, in The Listener series and in The Magpie. David Moseley, a retired clergyman in the Church of England, was born in Kent in 1930. He has been a crossword setter for The Guardian (as Gordius) since 1967. 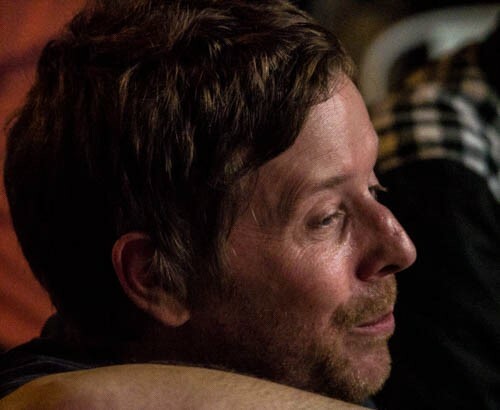 The pseudonym of James Leonard for crosswords in The Listener. The pseudonym of Mark Goodliffe, mostly for crosswords in The Magpie, but also in The Listener, 1 Across, the Independent on Saturday and The Spectator. The pseudonym of John Halpern for crosswords in the Financial Times. Jeremy Mutch sets crosswords in the Financial Times as (as Orense). He also set Wednesday crosswords in The Daily Telegraph. He uses the screen name Jay for his posts on Big Dave's Crossword Blog. The pseudonym of Audrey Young for crosswords in the Financial Times. The pseudonym of Tony Martin for crosswords in The Listener and The Magpie, Enigmatic Variations crosswords in the Sunday Telegraph and Toughie crosswords in The Daily Telegraph. The pseudonym of John McKie for Toughie crosswords in The Daily Telegraph.